With all the recent talk about students overburdened with debt after graduation and parents stretching to pay for college beyond their ability to repay, it makes sense to plan ahead and know your options before making a decision about college. The College Board at FinAid.org provides parents and students with several different calculators to determine college costs, the expected family contribution for financial aid, and how much student loan payments will be upon repayment. Knowing these figures will help you better plan for the costs associated with college. Since college costs increase at about twice the inflation rate, this calculator helps project how much college will cost when you are ready to enroll. In order to calculate the costs you would enter the current costs of attendance and the number of years until attendance. The calculator then projects the estimated cost. This form is used to calculate the financial need which is used by colleges to determine the financial aid package. It calculates the need for a single year and helps you know in advance the amount colleges will expect you to pay toward your college education. This figure will also determine the amount of financial aid you receive. 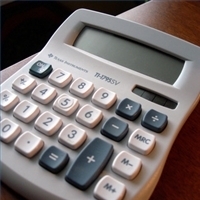 This calculator computes an estimate of the size of your monthly loan payments and the annual salary required to manage them. Students should always calculate the loan repayment amounts before taking on loans that they are unable to repay upon graduation. Once calculated, this tool gives you an estimated annual salary needed to afford repayment.